Those libertarian kids at Reason magazine are rightly concerned the with the endless reuse of McCarthyism, the term losing all bite and meaning as it slops around political commentary. Not that they don’t dabble in it themselves, as a tool to attack opponents of a beloved climate change denier, or when pulling the grand switcheroo: discovering the dread McCarthyism Of The Left. But the magazine is really more concerned with minimizing McCarthy, salvaging the kernels of truth they like to imagine he built his career around. Because after all, the Reds had it coming. 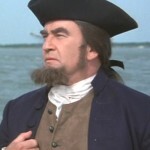 Evil ignoring was more in this fellow’s line of work, and the authority of today’s celebrity radicals no doubt explains why everybody remembers when they first gave a sawbuck to Ed Asner’s Medical Aid To El Salvador. Reason‘s writers spend inordinate amounts of time trying to salvage real facts they like to imagine the Red Scare exposed. First, stop channeling David Horowitz. Second, in what parallel universe was Ann Coulter ever concerned with facts? And third, remember NATO, federal worker loyalty boards and the Attorney General’s list? Proud Truman achievements. Both in defending Evans [with an asterisk] and praising David Aaronovitch‘s Voodoo Histories: The Role of Conspiracy Theory in the Shaping of Modern History, Moynihan turns to the same would-be damning Lattimore quote on Soviet collective farms. No doubt Lattimore wrote unfortunate things about the Soviet Union, but the quote above is only part of a paragraph in language you might not expect from a straight Soviet apologist. I’m not certain what Lattimore meant by all this, but Kulak blood doesn’t go unacknowledged. Aaronovitch brings out the true Lattimore obsessive in Moynihan when he points to the difficulty in squaring Lattimore as apologist with the steady stream of Lattimore denunciations and critiques in the Communist press. Somehow Moynihan thinks this is refuted by Communist attacks elsewhere on left deviationists. I think he is implying that Lattimore was both a Stalinist and a POUM-ist. ….sparking a reader commentery war over whether anyone recalled who Lattimore was. Reason-ettes live in a magical place, where demagogues require facts to bolster their power building crusades. This is a willfully naive view of the world, on a par with their touching faith in the market solving any question society ever struggled over, without all that sweaty politics. This entry was posted in COMMUNISM, JOSEPH MCCARTHY, MCCARTHY WAS RIGHT, MCCARTHYISM, MCCARTHYISM OF THE LEFT, NEW MCCARTHYISM, OWEN LATTIMORE, RED SCARE. Bookmark the permalink. 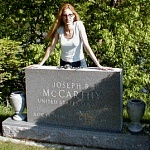 ← McCarthy Denial-ists: The Front Is Everywhere! 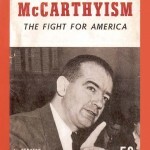 Pingback: Losing The Plot: McCarthyism The Universal Solvent Of Evil?